Ans: A book to keep stamps. Ans: Looking at the British stamp. Ans: All countries, or any country. Ans: Birds, animals and flowers. (a) Reporter: How old were you, when you started to collect stamps ? Mr. Gibbon : Eleven years. (b) Reporter : How many years have you been collecting stamps ? Mr. Gibson : Fifty years. (c) Reporter : Why did you start collecting stamp stamps ? Mr. Gibbon : Because my father gave a packet of some stamps. (d) Reporter : Do you collect only British stamps ? Mr. Gibbon : No, from China, India and Nepal as well. (e) Reporter : Do you collect stamps on any particular subjects or themes ? Mr. Gibbon : Yes, birds, animals, flowers and space travel. (f) Reporter : Which country do you like collecting best ? 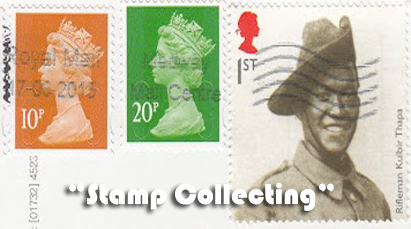 Answer: Stamp collecting is a popular hobby. Ans: He has lived in London all his life. Ans: He keeps his stamps in a stamp album. Ans: It is interesting to look at stamps of birds and animals. Ans: Winter is a good time to sit and look at stamps. Ans: It is possible to learn a lot about a country from its stamps. (a). He sat in front of the fire because he liked its warmth. (b). His stamp albums were full, therefore he needed a new one. (c). He collected space travel stamps because of his grandson's interest. (d). He still preferred to collect British stamps, although they were not as colourful as Nepalese stamps.(e). In spite of having collected stamps for so many years, he still enjoyed the hobby. (f). It was getting more expensive to buy stamps now. However, he decided to continue collecting them. Stamp collecting is one of the world's most popular hobbies. It is more popular than playing chess. Millions of people, adults as well as boys and girls, collect stamps. Why is it such a popular hobby ? There are probably a number of reasons for this. Firstly, every country in the world issues its own stamps. They are, therefore, easy to obtain. It is possible to get used stamps from letters : these cost nothing. Alternatively, you can exchange them with friends. It is also possible to buy them quite cheaply from stamp dealers. The attraction of stamps is that they are small, easy to keep, colourful, and informative. 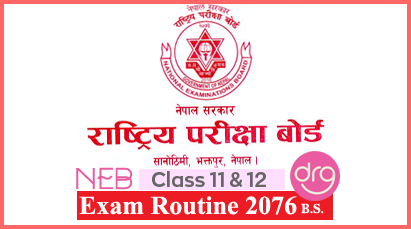 Translation In Nepali Of "Stamp Collecting"
Class 11 Course "Stamp Collecting"
Question Answers Of "Stamp Collecting"
0 Response to "Stamp Collecting | Translation In Nepali | Question-Answers"